The late 19th century saw some individual efforts that helped set the stage for broader action, mostly through court cases that addressed rights to citizenship, to hold public office, and to serve on juries. 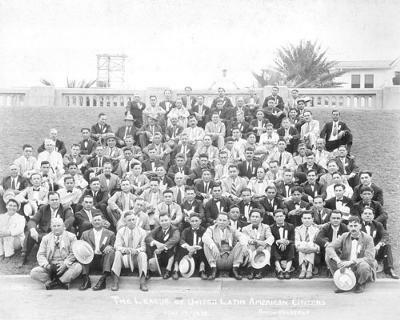 LULAC organized voter education and registration drives, they worked to end poll taxes, and they challenged discrimination within the court system. LULAC also organized from the top-down as leaders formed an alliance with Lyndon Johnson, who would later serve as 36th President of the United States from 1963-1969. El Congreso was spearheaded by union leader and social activist Luisa Moreno. Established 10 years after LULAC, it appealed to more working-class, urban Latinxs and it included more non-Mexicans and women leaders. Additionally, it formed alliances with other marginalized communities. El Congreso also focused on the rights of non-U.S. citizens. Both LULAC and El Congreso would set the stage for large-scale political organizing during the Civil Rights Era.